Our members get exclusive deals and discounts from our neighbours, supporters and community partners. 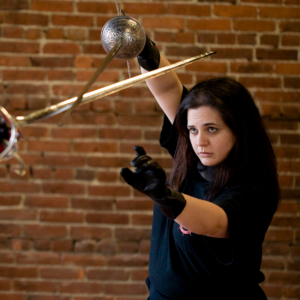 Academie Duello is proud to be the world’s largest school of Western swordplay, based here in Vancouver. They’re devoted to teaching the traditional martial practices of Europe while incorporating modern sport science in one of the most unique fitness and socially rewarding experiences you’ll ever have. Ask for the HiVE member discount to get 20% off any intro course, and then $25 off monthly tuition for regular classes once the course is completed. 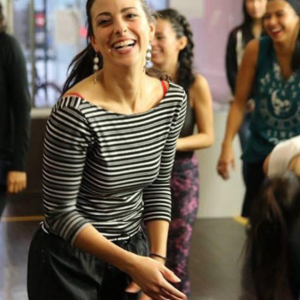 OKO Dance Vancouver welcomes HiVE members to try a variety of dance, yoga, and fitness classes at their studios conveniently located a block away at 45 West Hastings. First timers at OKO can get the Discovery Pass for 10 hours of classes. Usually $60 dollars, HiVE members can get this special pass for just $40. Terms & conditions: New OKO customers only; only one Discovery Pass per HiVE member; must mention that you are a HiVE member to get the special price. 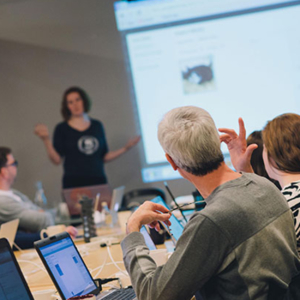 Beginner-friendly, hands-on workshops for adults who want to learn practical tech skills. Camp Tech offers half- and full-day in-person workshops for adults who want to learn web and digital skills. They create a welcoming environment for those who are hesitant around technology and they emphasize skills that can be put into practice right away. At Camp Tech, they have a good time at their workshops. This isn’t stuffy corporate-style training! To get $10 off your classes, just use the code “hivemember”. We love to share. And so does our local car share co-op, Modo! HiVE members, get a $50 driving credit just for signing up. Use the promo code HIVE to redeem when you register online (standard $10 registration fee applies). You‘ll be joining a growing community of 13,000 members who love being able to share Modo’s diverse fleet of cars, trucks, SUVs, vans, hybrids and electrics. Already a Modo member? Tell your friends and get a $25 driving credit for your referral as our way of saying thanks! Details here. Your neighbourhood pizza bar! 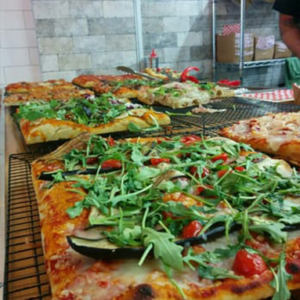 Zero Zero Pizza is a traditional pizzeria romana; eat in or take out. Just around the corner on Abbott Street. Get the 10% off neighbourhood discount by telling them that you work at the HiVE when ordering. Be prepared with our address and to answer some friendly questions to get the discount. With Vancouver’s shrinking space issues, it’s difficult to keep up with downsizing or storage demands. 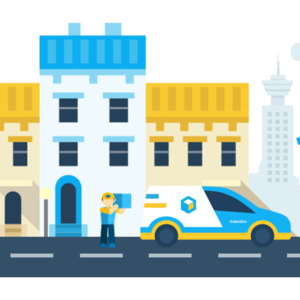 Cube2Go is a technology company that is challenging the traditional self-storage industry by offering a convenient, simple, secure and affordable storage service that makes it easy for anyone to use. They’d like to offer $25 credit to use towards Cube2Go’s storage services to HiVE members only. Use the promo code HIVEYVR during checkout at www.cube2go.com or just give them a call at 1-844-282-3246. One of their storage pros will there to help! Terms & conditions: Cannot be combined with any other offers. Limited one redemption per HiVE member. 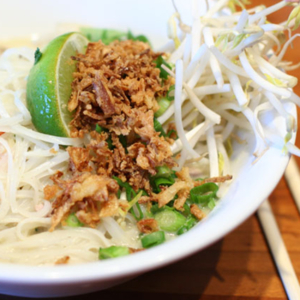 Get your noodles and spring rolls at the Noodlebox just a couple of doors from the HiVE! Get the 10% off neighbourhood discount by telling them that you work at the HiVE when ordering. Be prepared with our address and to answer some friendly questions to get the discount. Convenient group ordering also available. 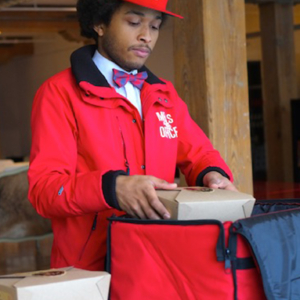 Complete the form and e-mail to gastown@noodlebox.net or fax to 604-559-1776. Terms & conditions: Gastown location only. HiVE members enjoy half-off ($35 vs $70) Zipcar membership as an member perk! 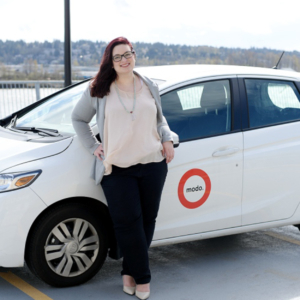 And as a HiVE member, you get a Zipcars for Business account, giving you discounts on Monday through Friday driving! 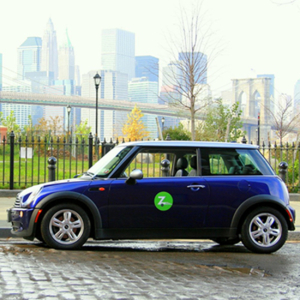 Zipcar is car-sharing, a simple and affordable way to have a car without owning one. Whether you & your household are carless, car-light, or need different wheels for a different trip-type, join the club to start saving time & money. Join at members.zipcar.com/thehive to claim your sign-up discount! If you are already a Zipcar member, contact them to add the HiVE business discount to your existing account.